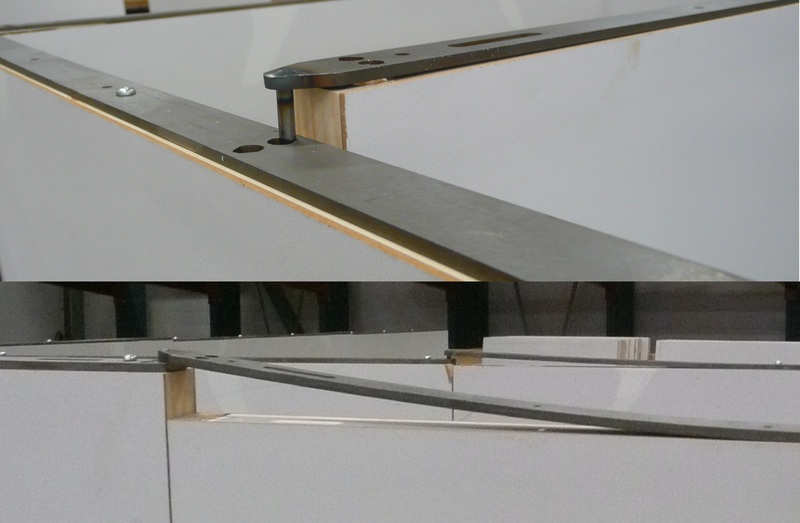 Smart Connect is attached to the top edge of each Smart Stand Wall and enables one person to build the walls as fast as two persons did before. 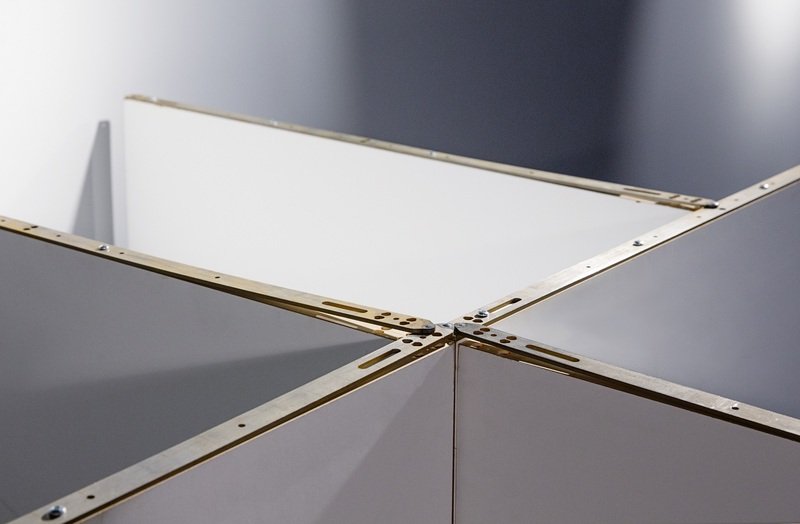 Assembly time for Smart Stand Wall equipped with Smart Connect is at least 2 times faster than chipboard walls and 6 times faster than aluminum systems. – Easier to work with. New personnel require less training. – Occupational safety is improved. No need to climb up and down a ladder. Click on the video below to see when one person puts up 6 pcs of Smart Stand Wall equipped with Smart Connect, in a T shaped form, in 2 minutes. Click on the video below to see when one person takes down 6 pcs of Smart Stand Wall equipped with Smart Connect, in a T shaped form, in 1 minutes. 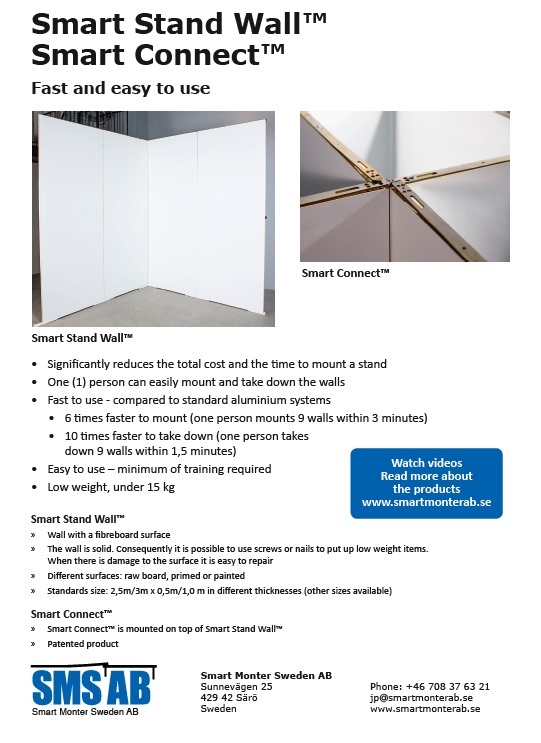 With Smart Connect it is easy to extend a wall or put up stick walls. Smart Connect is able to absorb unevenness in the floor. When the hitched wall is higher, it is the length of the hooking pin that helps. When the hooking wall is further down it is the built-in spring system in the Smart Connect that takes up the height difference. 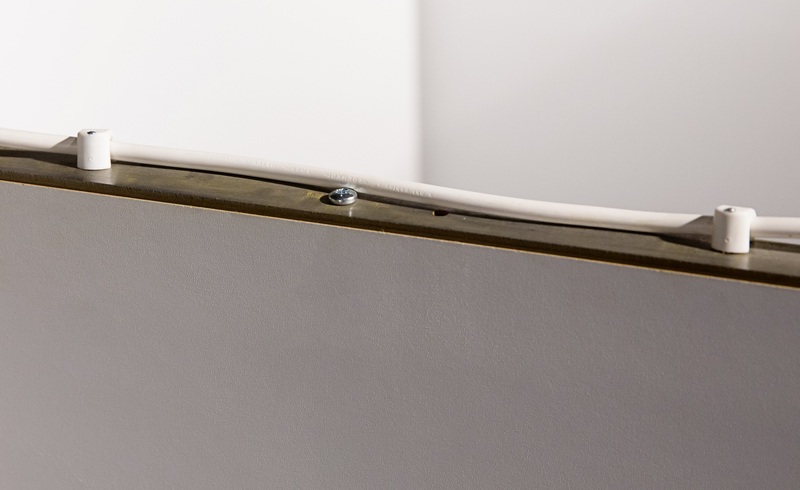 Smart Connect is prepared with different holes to simplify the installation of lighting ramps, electrical cables and the front ramp in a stand.